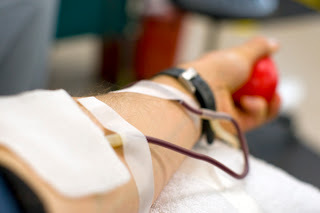 BAJA NEWS: Since 2007: SERVICE - Blood Needed for two people!! (1) Amparo's sister is in San Jose and needs "O" 624-154-6570 If you need a ride to San Jose, Amparo will take you. a. one of those, one doctor not telling the other? Happens in the states also. Surgery was scheduled for this morning and this morning I was told we need 6 pts. of blood before. Is There Anyone Left In Pony Land That Can Help? b. the hospital says I need 6 people to replace the needed blood for my surgery. this is a good hospital, but this surgery is very dangerous as well, and I cannot go anywhere else because of the serious condition. I'm just trying to save my life,	Our friend Pako started it. Bravo 1010, Esq. Josefa Ortiz de D.
thanks so much, if you could get the word out for me.